civey is one of the most striving startups in Berlin. Based on a newly and innovative online-only approach, it offers representative and statistically relevant polls through scientific research and algorithms. 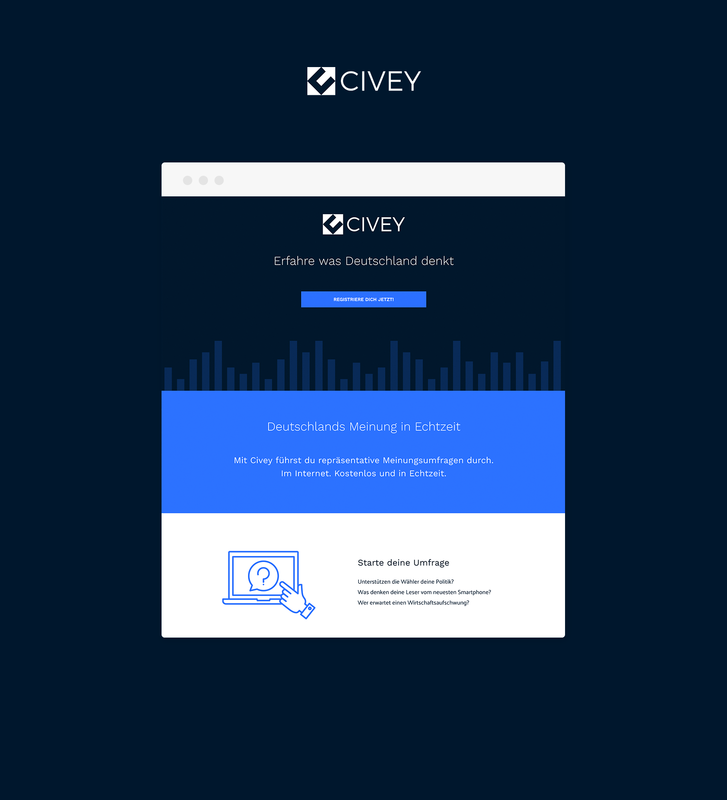 appstretto supported civey in the early phase with the development of its website in connection with the API, topic pages, newsletter campaigns and event tracking. appstretto is also a shareholder of civey. Today, civey and its opinion widget is integrated on the most relevant news websites like Spiegel.de, Welt.de or tagesspiegel.de in Germany.